April is Autism Awareness month! All over the world individuals, families, and even business are hosting events to support and spread awareness for Autism. 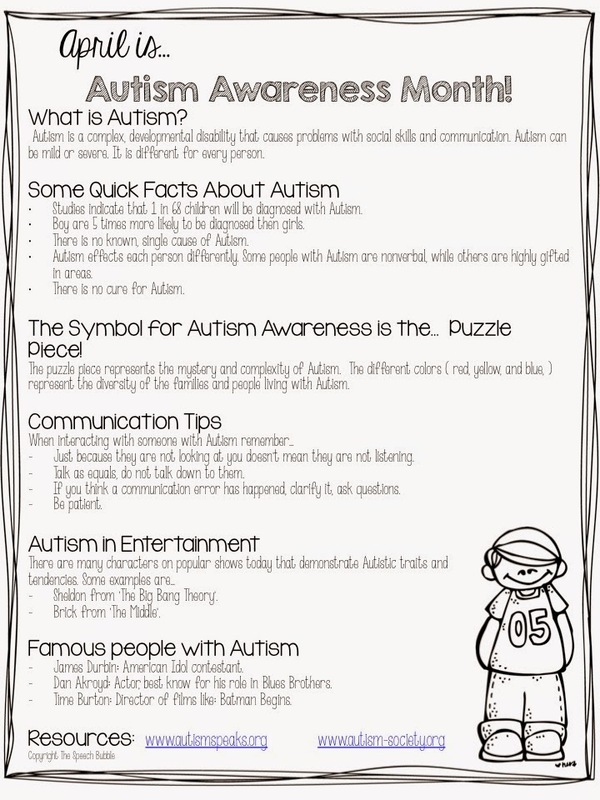 I put together a little handout that you for you with updated information about Autism. These can shared with family, friends, and colleges. If you want some more information you can visit my blog post HERE. To go directly to my TpT store and grab this handout you can go HERE. Don't forget! April 2 is the day to 'Light It Up Blue'. This is the day that the global Autism community will sport their blue attire to raise awareness for Autism!